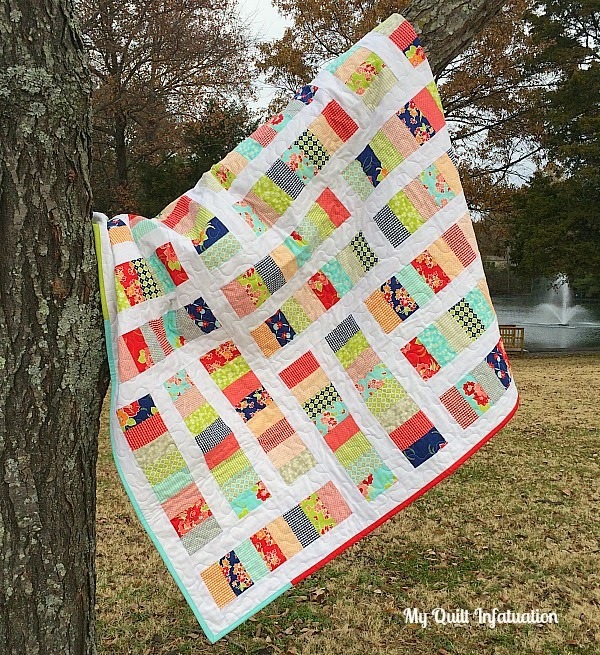 I love this, miss Kate is such a fun fabric line to use precuts with. 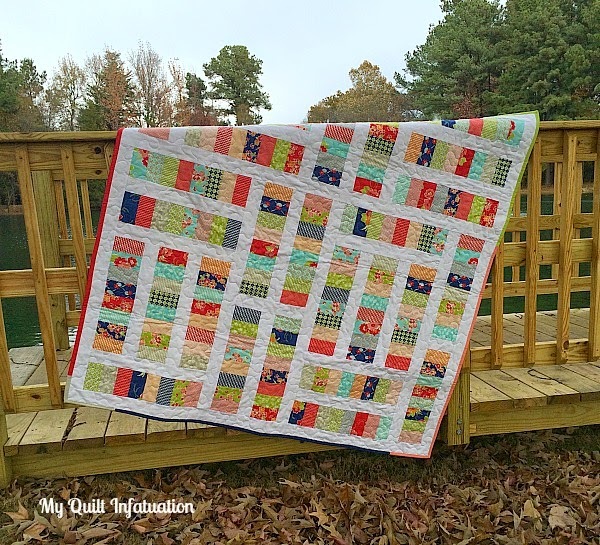 I also made a few quilts with a miss kate Jellyroll and they are some of my favorites. 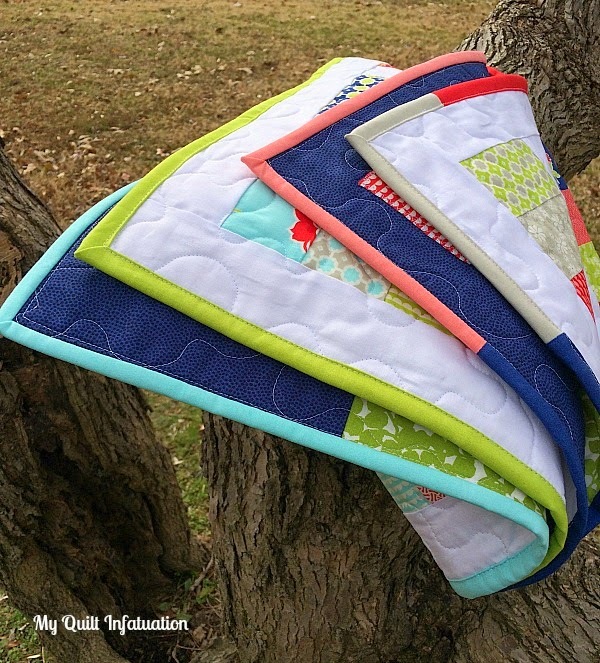 Your contrasting thread does have a definite appeal to it, it shows your beautiful quilting skills! Thanks for sharing. 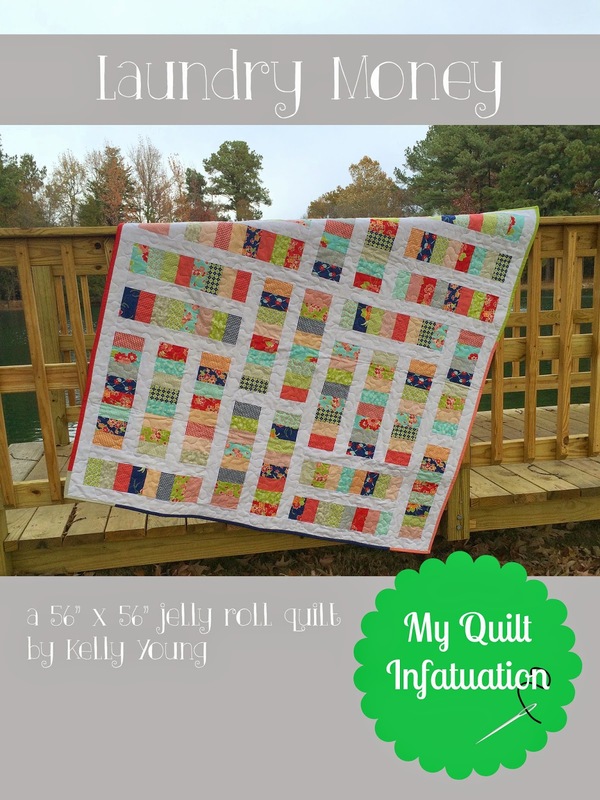 Delightful quilt, Kelly!! 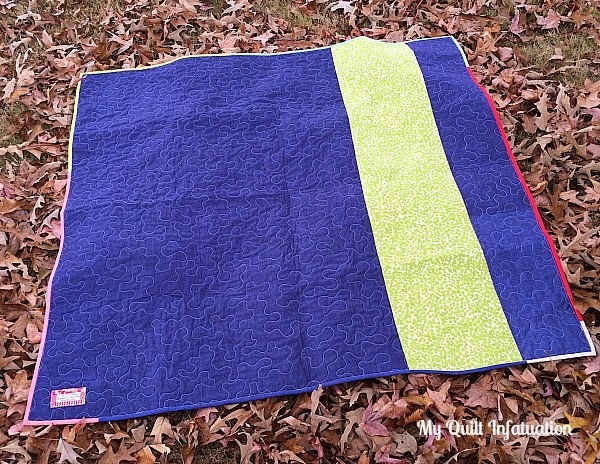 I kept wandering off from my cleaning and cooking yesterday, too -- nice to take a break by quilting to reve me up again!! May you have a grateful Thanksgiving. the jelly roll has made a lovely quilt, i like jelly rolls and also charm packs but they seem to stay in the cupboard and come out to be admired then go back in. Looks very good! Actually the wintery backdrop makes the colors more vivid. 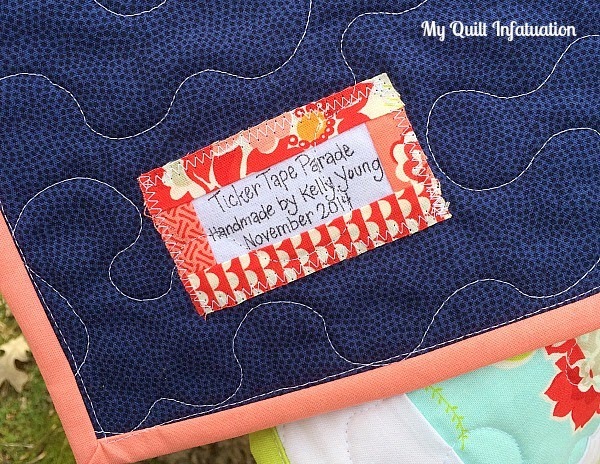 Good name too--I envy those who can think of great quilt titles. I've not yet bought a jelly roll. 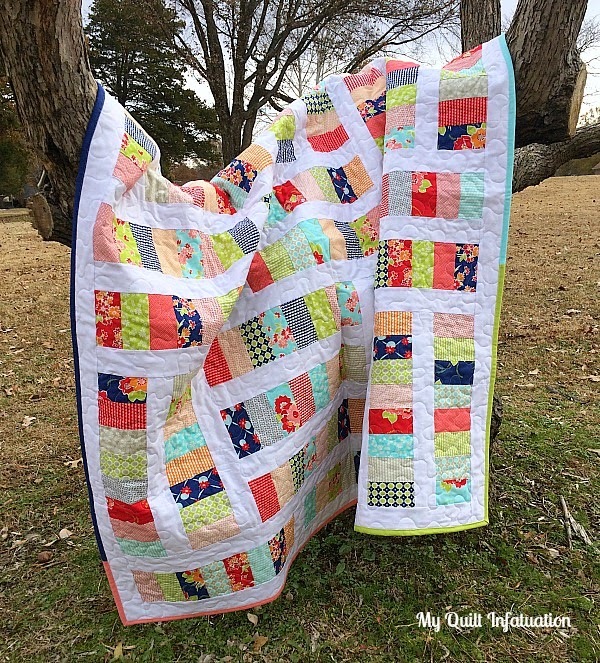 Great quilt! I think jelly rolls are my favourite precut. They're the first kind I bought. I like patterns that allow you to piece the strips together first though, rather than cut every piece of the quilt individually. That is not time saving! I agree! 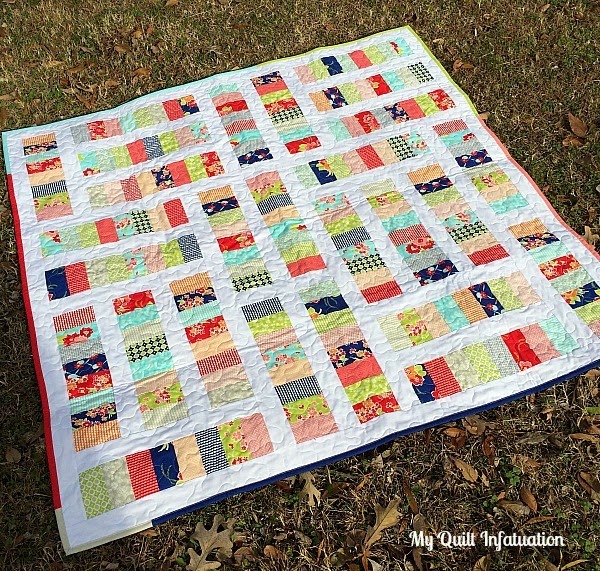 Cutting the jelly roll strips into individual pieces would NOT be time saving. I certainly took advantage of strip piecing on this pattern.